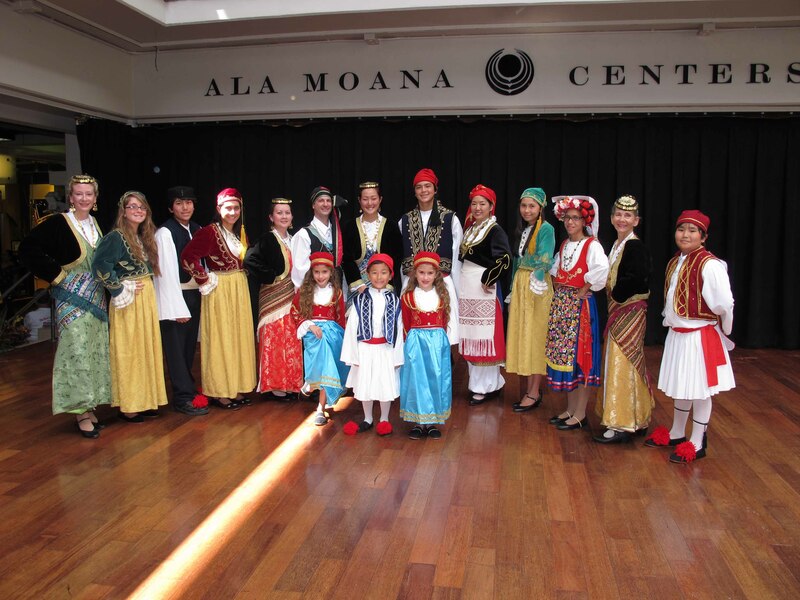 There are three dance groups at Saints Constantine and Helen Greek Orthodox Cathedral. The adult group is the Nisiotes (Islanders) Dancers, our middle group is the Nisiotopoula (Young Islanders) and the Nisiopeda are the little island children. We are non profit and depend on donations to buy, repair, and clean costumes. 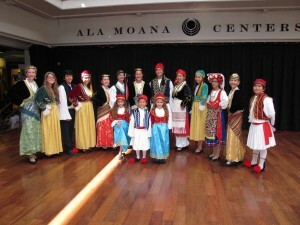 Our dancers are Greek, half Greek, part Greek, and non Greek. What binds us together is our Orthodoxy and the love of Folk dancing so we keep on dancing year after year. See us perform in the McCoy Pavillon Auditorium both Saturday and Sunday 1:30 and 4:30 PM. The dance group maybe contacted through the church at 808-521-7220. Please leave a contact Name, Number and Time you can be reached. 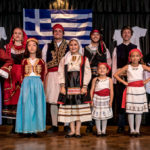 We will dance for your celebration and teach your guests a few Greek dances.